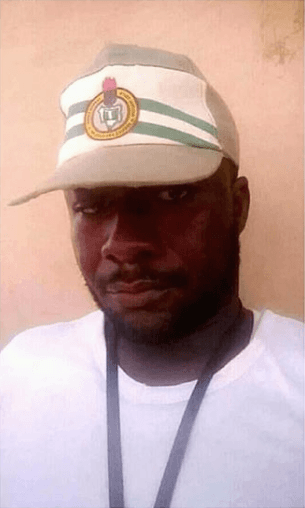 .A graduate who just concluded his NYSC has been reportedly hacked to death by a suspected robber. The deceased who has been identified as Samuel Audu was reportedly trying to stop a burglar who was attempting to steal some bags of cement kept in a house where he was hired to fix POP ceiling at Low-Cost, Akwanga Council Area of Nasarawa State. It was gathered that the suspect overpowered the deceased and hacked him till he bled to death.